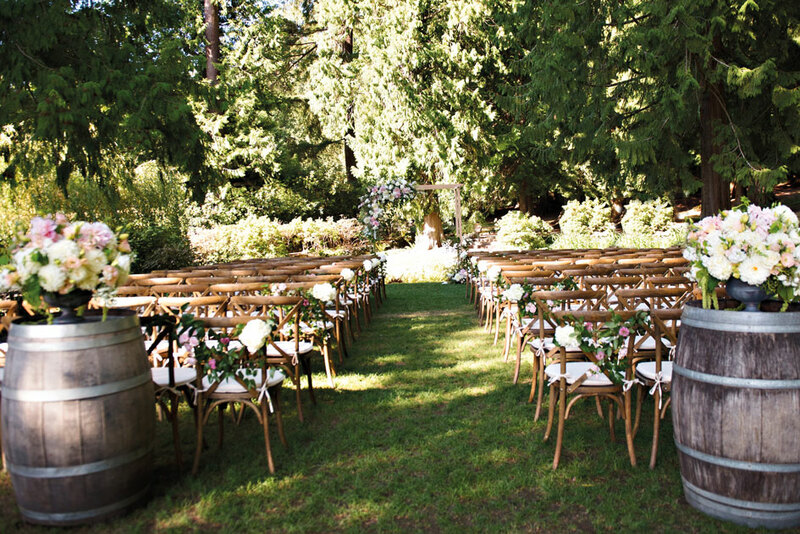 For their first date, Stephanie Lynne, who works in the veterinary field, and software engineer Abraham Santini bonded over their love of photography while snapping night photos at Kubota Garden. 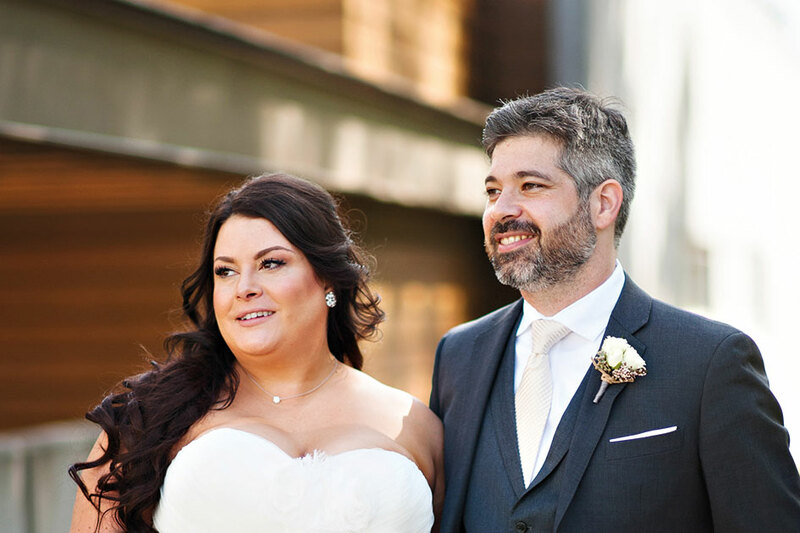 Three years later, Abraham surprised not only Stephanie, but their gathered family and friends too, by popping the question after crooning Elvis Presley’s “Can’t Help Falling in Love” at a karaoke bar. 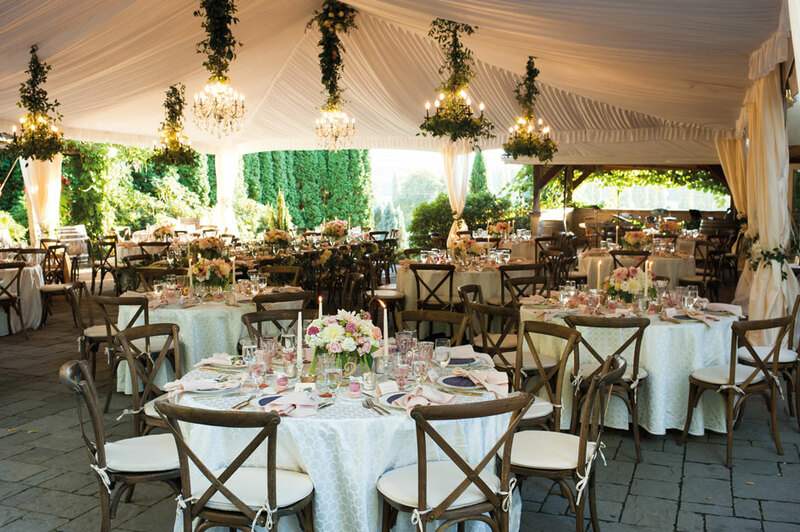 The couple’s September nuptials at DeLille Cellars was the picture of pastoral perfection, with abundant blush-hued florals and greenery decorating the chateau’s grounds and reception tent, the latter of which featured two stunning crystal chandeliers brought in for the occasion. 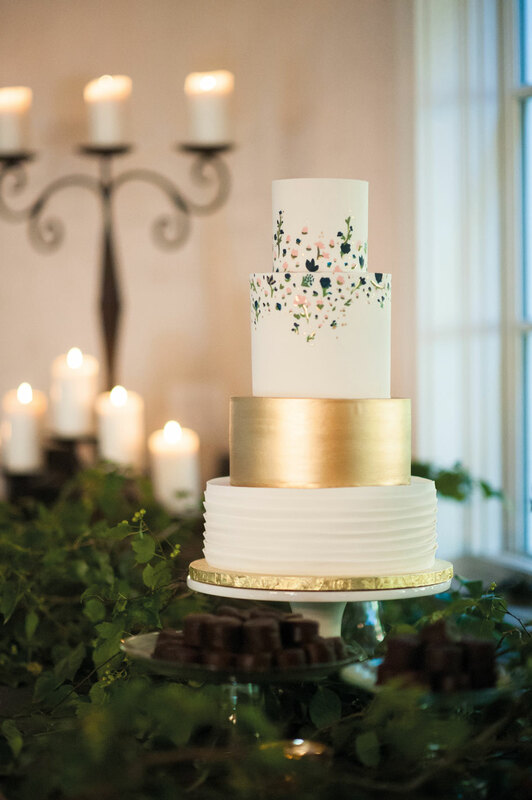 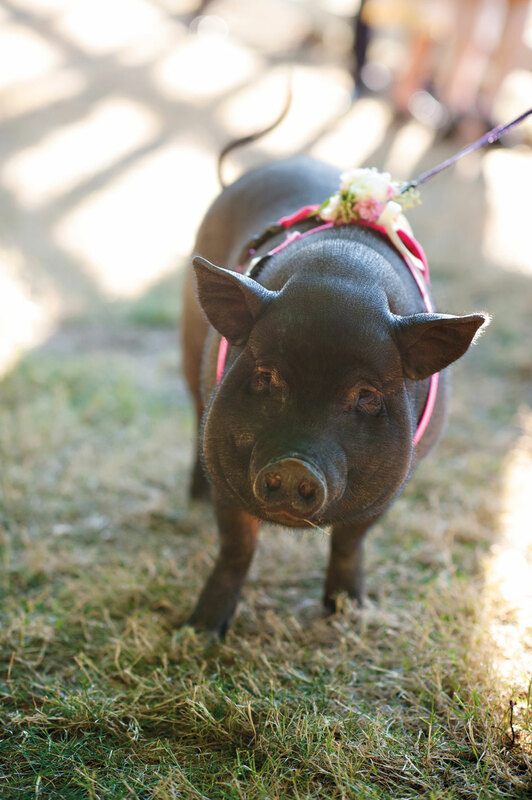 The animal-loving bride worked with wedding planner Holly Patton Olsen of Perfectly Posh Events to rent a couple of miniature pigs for the reception, delighting guests during a high-spirited evening that also included a tarot card reader, emotional speeches and homemade ho-hos by Baked Custom Cakes.